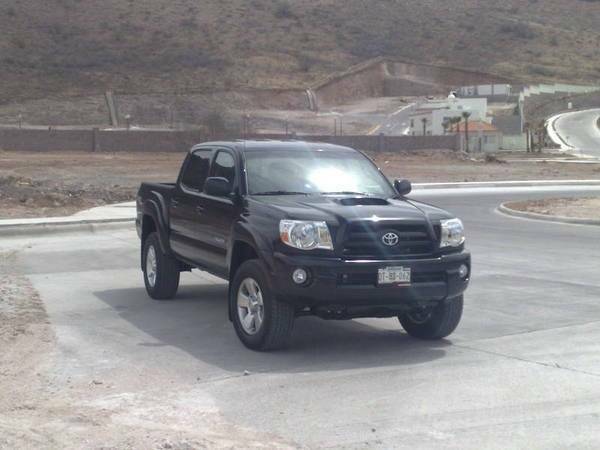 Discussion in '2nd Gen. Tacomas (2005-2015)' started by eordonez, Mar 27, 2008. 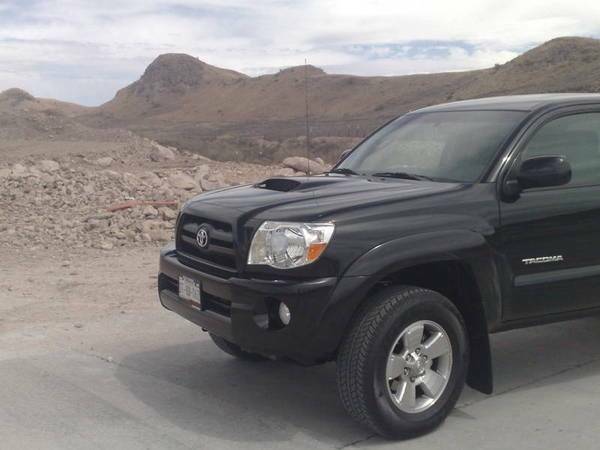 Proud to say i just picked up my Dcab TRD sport ´08 Black sand pearl taco, its frickin cool!! love it!! ill post some pictures tomorrow. Congrats! And, welcome to TW if I didn't already say so. Gratz on the new Toy! 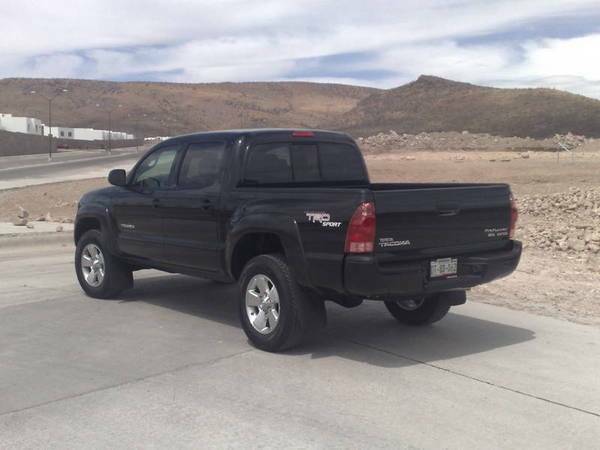 mmm...black....and the kicker...is it short bed or long? Definately good color choice! 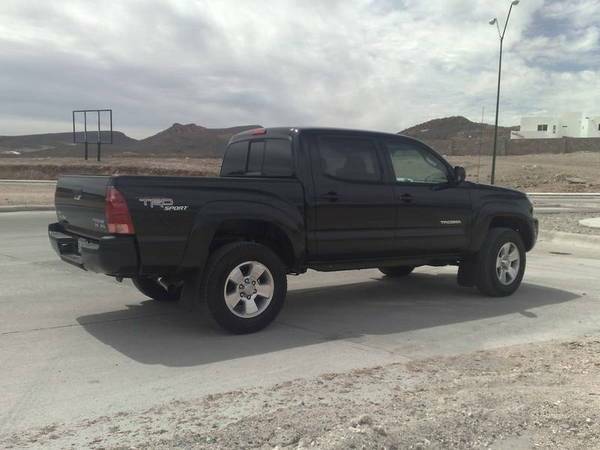 what kinda of mods do you have in mind? Thanks Everyone, Here are the pictures! 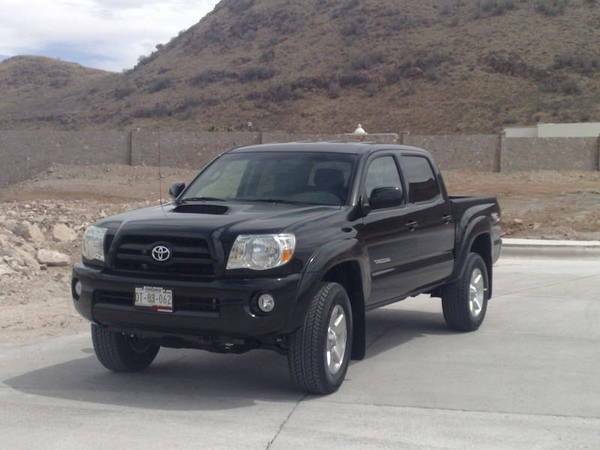 socalman: i think i just going to add tube steps (toyota ones), bed extender, all season mats, and the wheel lockers (there is a band robbing wheels in town ), maybe add an ipod adapter (when i get an ipod) i heard that the head unit has an aux where you can connect it, anyone knows about this? Also the rear suspension has already the 4 leaf springs, so i think there is no need for tsb. I had the stealership to put some teflon on the in and outside, maybe it'll help to keep it a lil bit more clean, who else has this color, and what do you guys do to protect it from scratches and dust. Congratulations ... nice ride. Where's all the green grass? I always try to take a picture on the first day because I know it'll never look that way again. Ever.